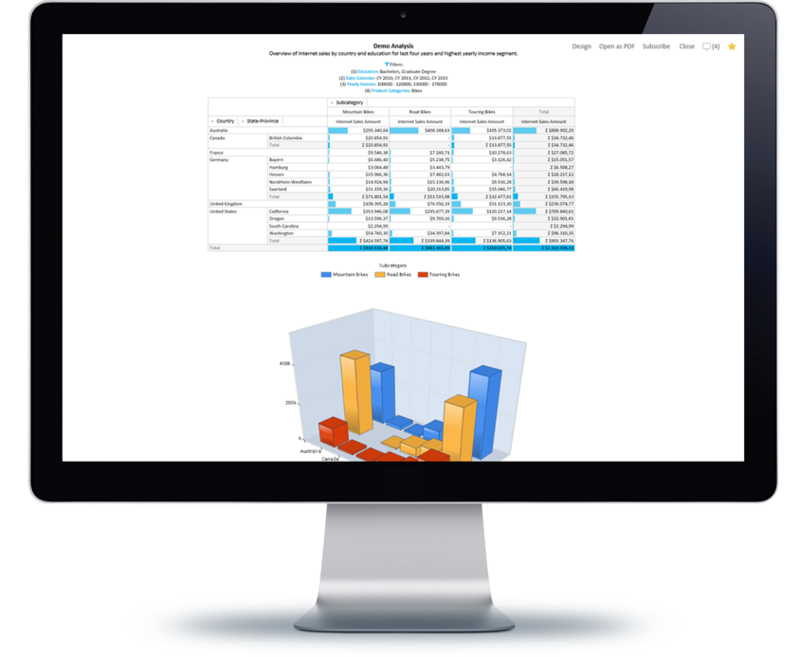 'Kyubit Business Intelligence' is OLAP software that includes sophisticated features for advanced OLAP data analysis, visualizations, creation and sharing of OLAP reports and Dashboards. User friendly interface, fast performance and stunning visualizations are primary features of Kyubit OLAP software. 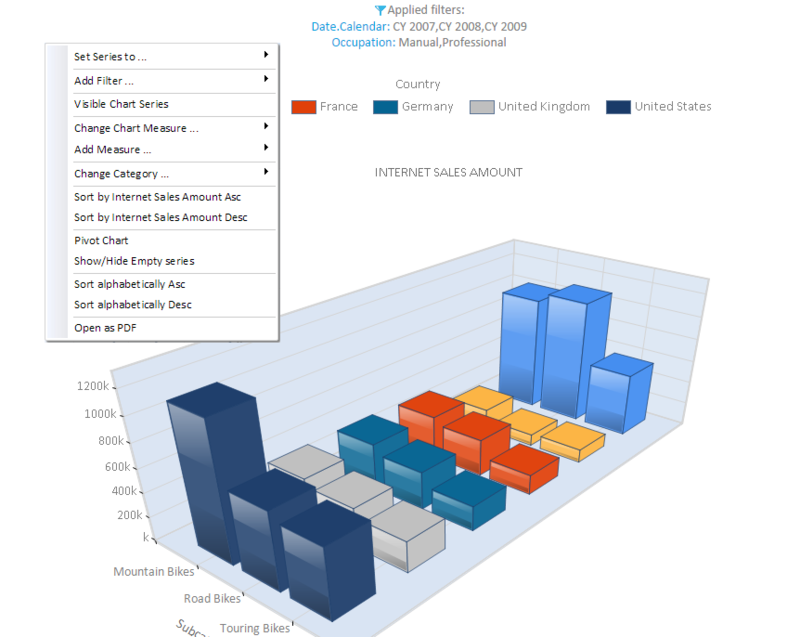 'Kyubit Business Intelligence' is web based OLAP software designed for MS Analysis Services environment (SSAS) with features to analyze, visualize, share and integrate OLAP data. 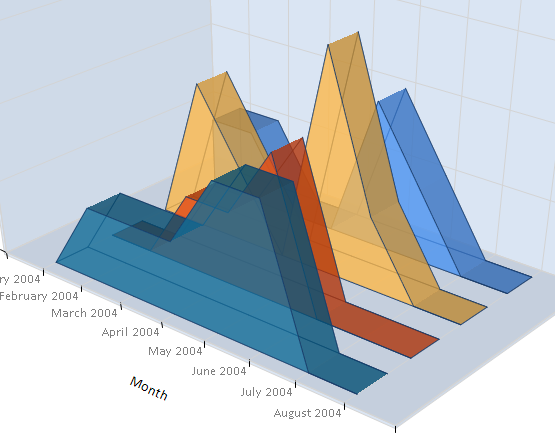 Quick and simple installation, rich and interactive analysis are some of most popular remarks for this OLAP software. 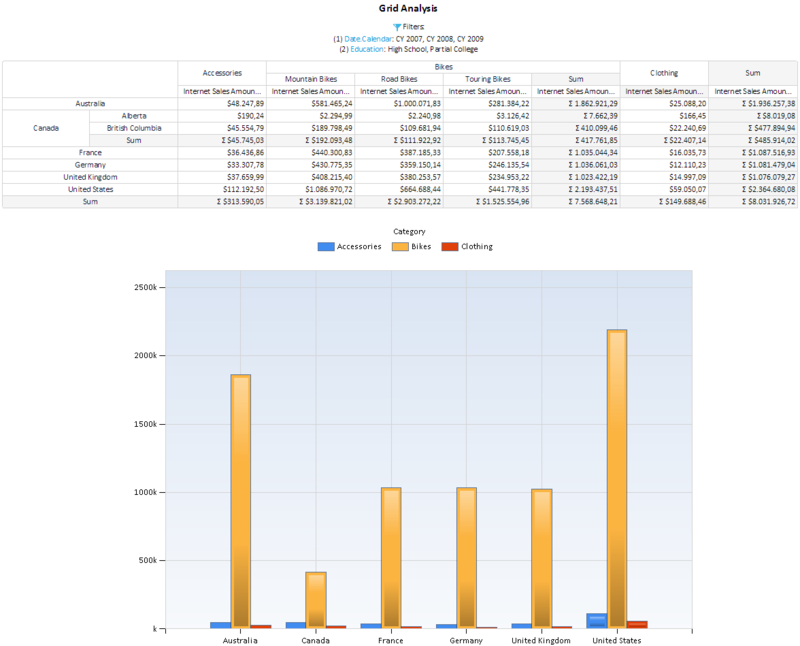 Kyubit Business Intelligence OLAP software includes ad hoc OLAP analysis within OLAP grid or OLAP chart and makes essential analysis operations very easy and intuitive. 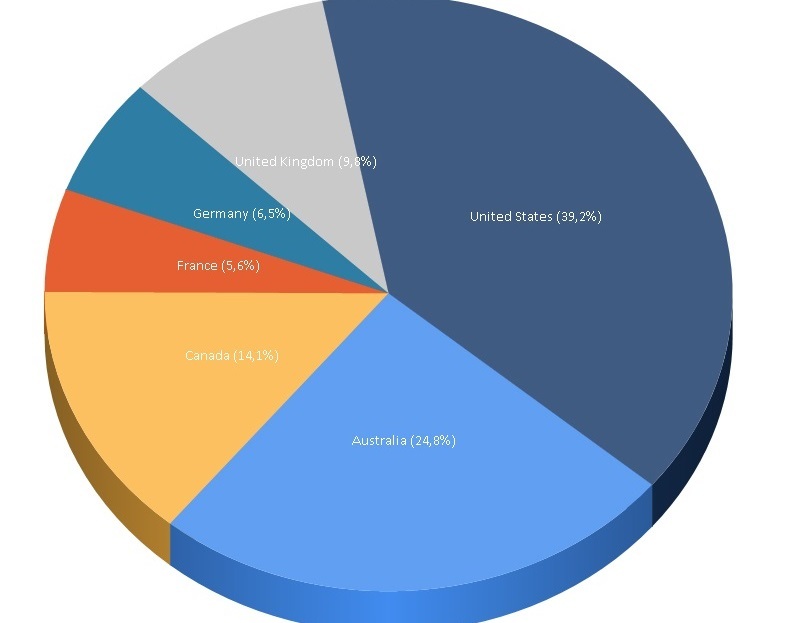 All Kyubit OLAP software users have options to subscribe to a certain OLAP report analysis and schedule time to receive email that contains OLAP report in grid and/or chart format. 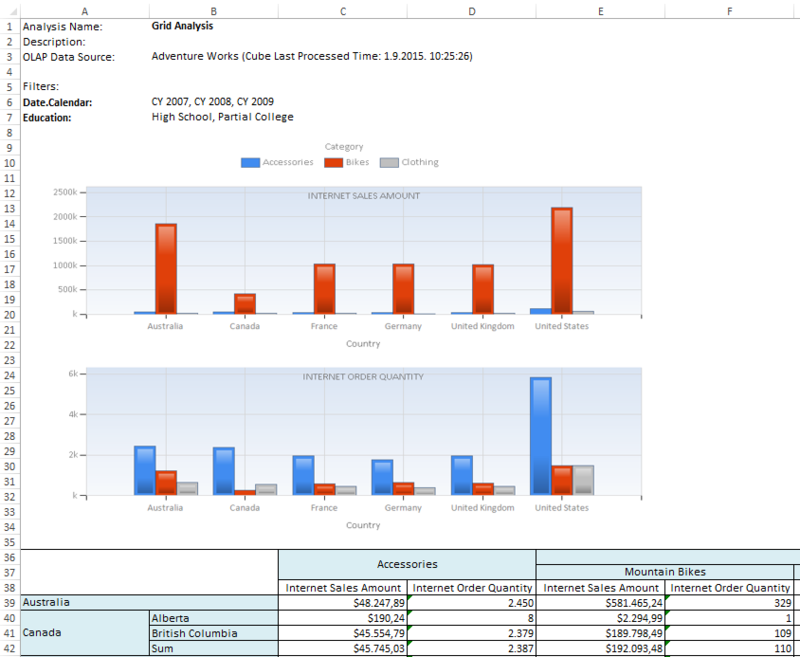 Subscription email contains embedded chart image, grid and link to open analysis in OLAP software for further OLAP analysis operations and activities. 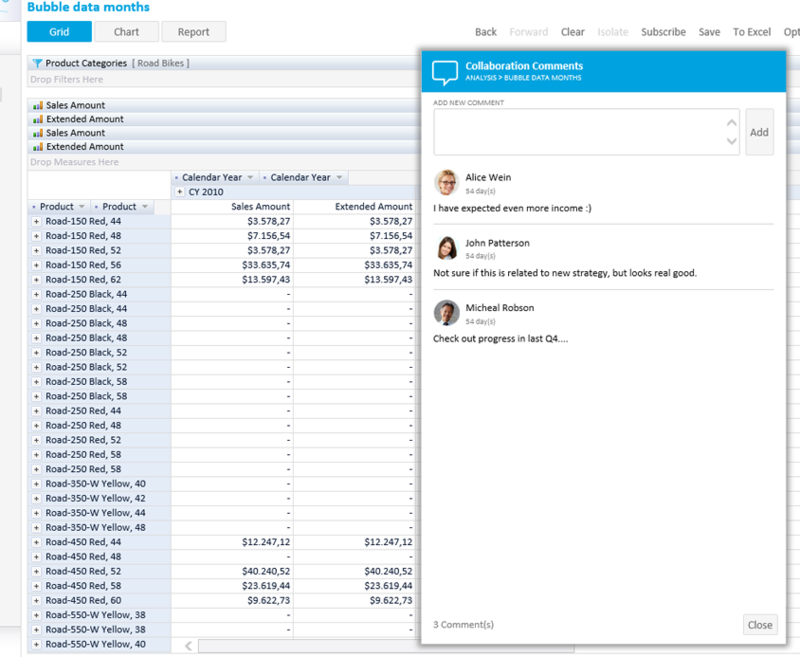 Scheduled OLAP reports provides ability to receive fresh OLAP data on a regular basis and recipient event does not have to know that there is certain OLAP software behind received email. It takes few minutes to download, install and utilize Kyubit OLAP software. 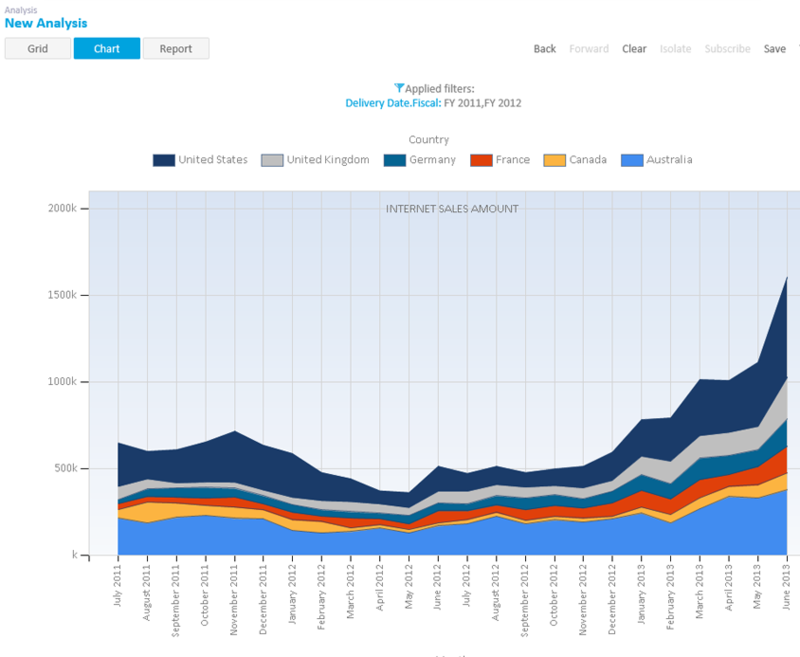 Powerful 2-axes, multi-measure, intuitive OLAP grid analysis. 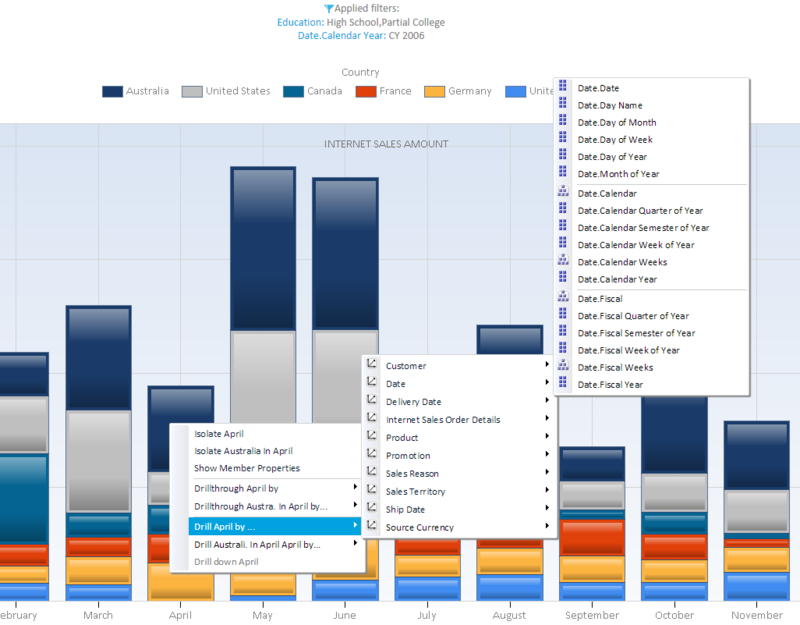 Interactive charts for OLAP analysis and visualization with Kyubit OLAP software. 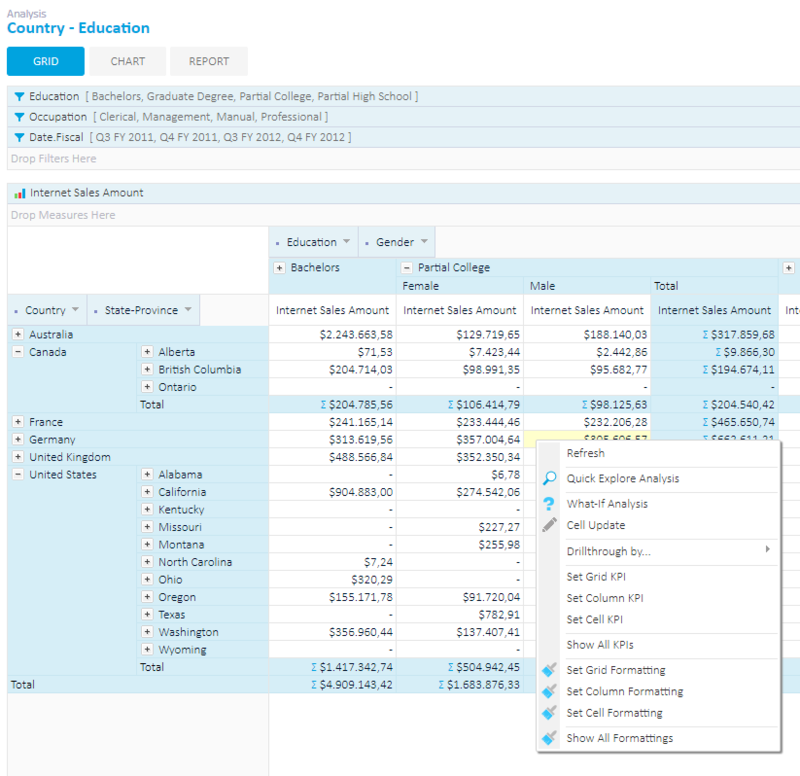 Easy to adopt, intuitive, drag-and-drop user experience. 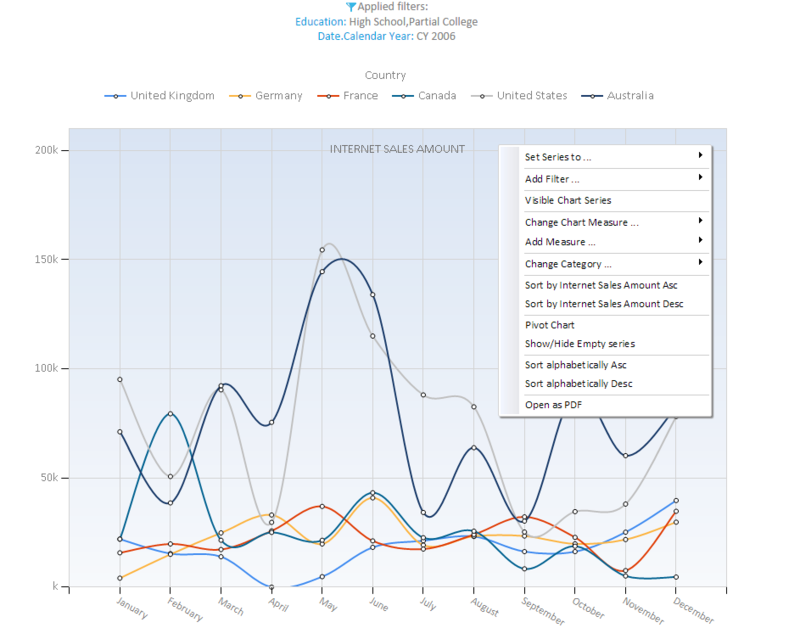 Share analysis with colleagues on your intranet. 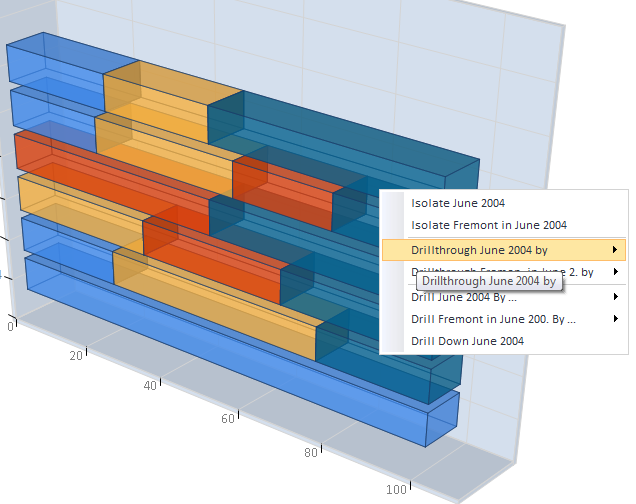 Dynamically define drillthrough columns to show while drillthrough with OLAP client. 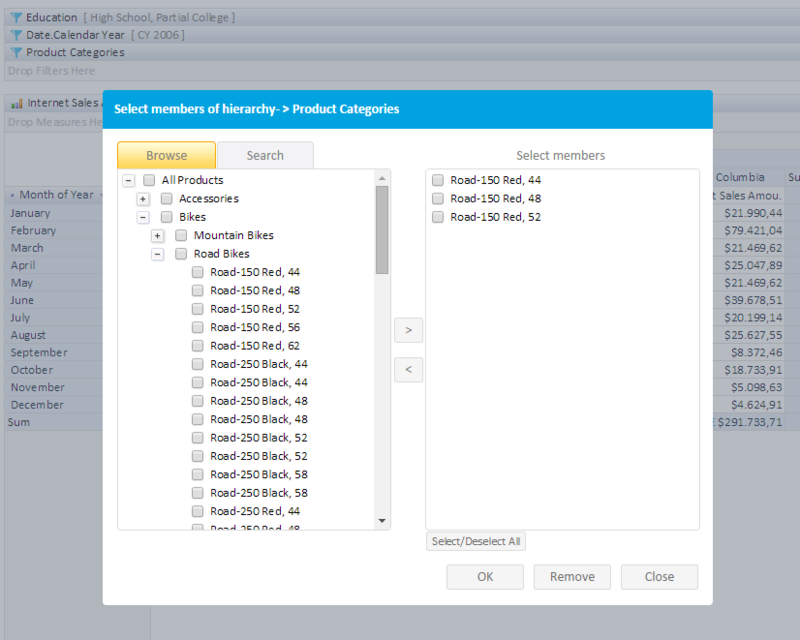 Export your analysis to Excel and PDF. 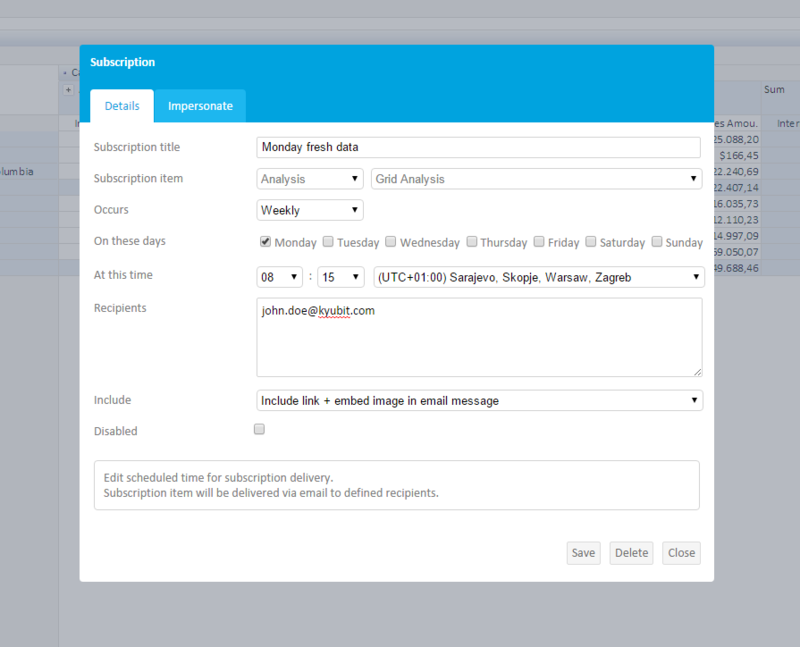 Create OLAP report scheduled subscriptions to existing analysis. 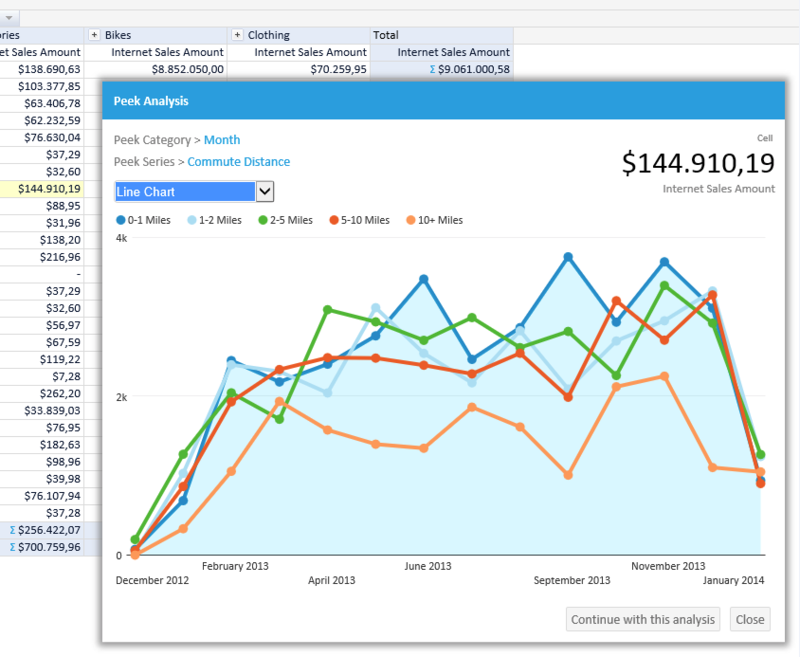 OLAP report data integration with other web application (SharePoint). 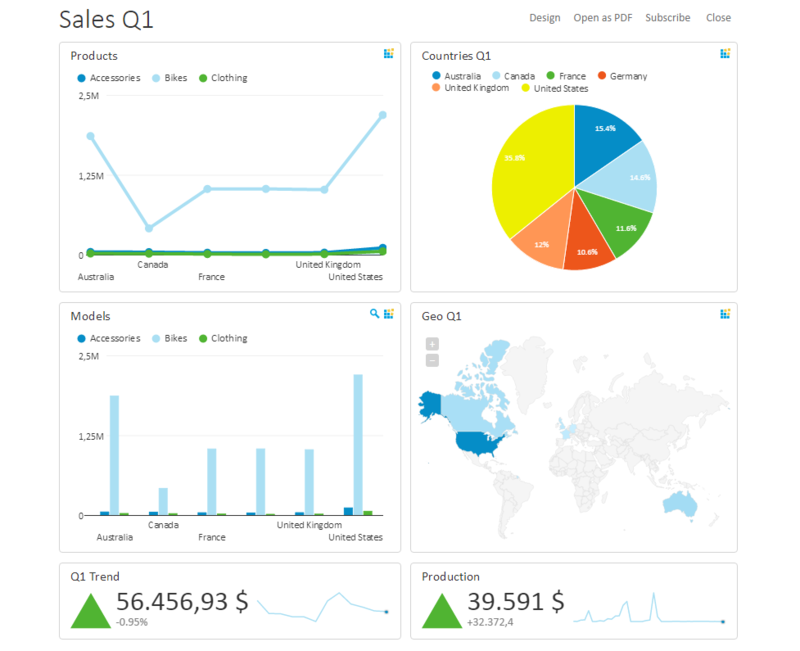 Use created OLAP analysis to present your OLAP data on Dashboard. 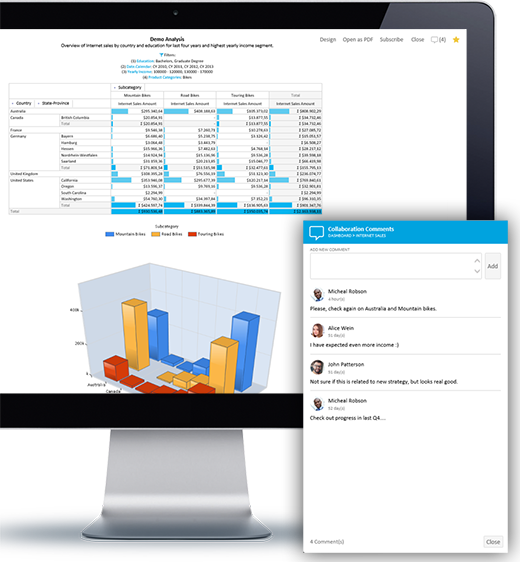 Download 30 days evaluation of 'Kyubit Business Intelligence' and see Kyubit OLAP software features in action. Download 'Kyubit Business Intelligence OLAP analysis - User Manual' which covers all aspects of 'Kyubit Business Intelligence' OLAP software.